The Delaware County Emergency Medical Services department has announced the return of its Citizen Academy. This 10-week, free course provides Delaware County residents with a hands-on and up-close education about emergency services in the county. Beginning March 22 and continuing through May 24, the Citizens’ Academy participants will attend an evening class for about two hours every Thursday and during one Saturday. Each session will expose Academy participants to a different facet of life-saving services in the County, including the Emergency Medical Services department, the Delaware County Office of Homeland Security and Emergency Management and the County’s 9-1-1 Center for emergency communications. 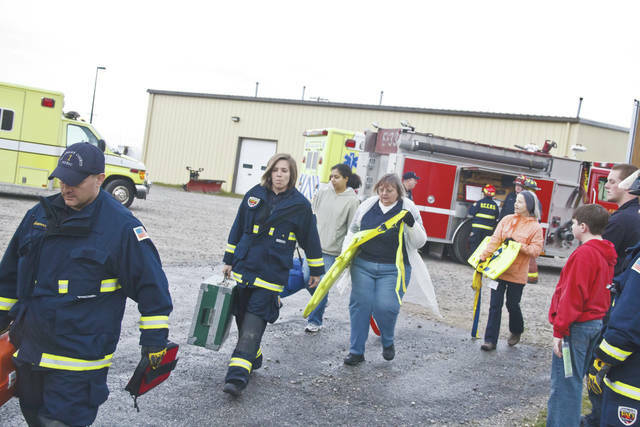 A key feature of the Delaware County EMS Citizens’ Academy is “Simulation Day,” when Academy participants join with first responders for an emergency-response drill. This format for this year’s drill will be announced later. Participants must be 18 years or older and have to pre-register by contacting Lt. Travis Ries, who can be reached via email at tries@co.delaware.oh.us or by leaving a phone message at 740-833-2194. A total of 12 participants can be accommodated. For more information about Delaware County EMS, please visit their website at: http://www.delcoems.org/.